Question of the Week | J.W. Wartick -"Always Have a Reason"
What’s your least-read book of the Bible? Why do you think you haven’t read it as much? Was it on the linked list? 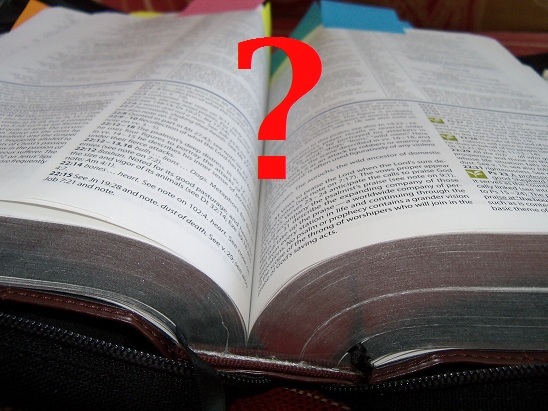 How might you dedicate some time to getting into God’s Word more? How might you encourage others to read some of the least-accessible books? I think these are all questions we should tackle as Christians. We should try to dive into God’s Word as much as possible. Each word is there for a reason, inspired by God. Thus, let’s share some confessions here and then seek to get into the Word more. Question of the Week- Mistakes for Apologists? What’s the single biggest mistake you think apologists make? Why do they make it? What can we do to avoid it? Is there a methodological error apologists frequently make? Is there a way of presenting that might not be as effective? What are some issues involved in apologetics that might turn others off? Let’s see what you think in the comments. Question of the Week- What’s your view of “The Millennium”? What is your view of the Millennium? Will it be a literal 1000 years, or is it some finite, but undetermined period of time? Will Christ come before or after it? Eschatology– the study of the end times- is not something I’ve focused on much at this blog (though you may read what I have written by clicking on the word) for a few reasons. The most prominent is that I haven’t studied it much. This makes me curious: which view do you hold and why? Let me know in the comments. Book Review: “Four Views on the Book of Revelation” (Zondervan Counterpoints Series)– I review a book which focuses upon Revelation–the book of the Bible which is most commonly associated with eschatology. Check it out for a survey of four views on how to read the book alongside various eschatological views. 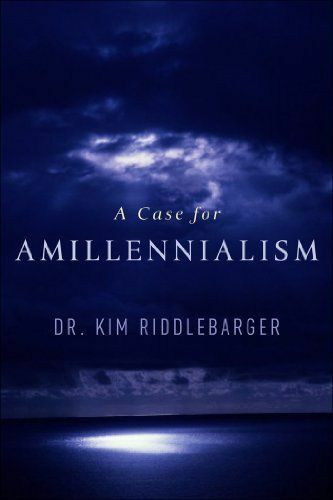 Kim Riddlebarger, A Case for Amillenialism (Grand Rapids, MI: Baker Books, 2003). – I chose this specific book because it featured a concise outline of the three most prominent views on the millennium. Have you ever read a book which forced you to re-think a topic so thoroughly that it shifted your paradigm? What was it? What did it make you think about? The picture on this post is one of those books for me. 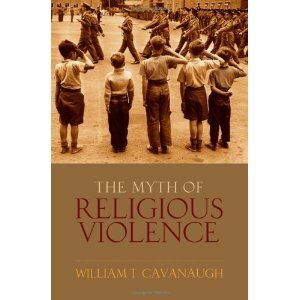 It made me rethink how I thought about “religious violence” and even whether there is such a thing as “religious” as a distinct category from “secular.” It was a monumentally important book for me and has continually found me going back to it and referencing ideas. I hope you, dear readers, have had books like this in your own lives. Question of the Week: Where do you stand on gender? It’s no secret on this blog that I support egalitarianism–the view that men and women should serve God through giftedness instead of by gender (read on this topic here). However, I’m curious to see what spectrum my readers have on this important topic. What do you think is the correct biblical view of the relationship between the genders? It is worth noting that the dichotomy between full egalitarianism/full complementarinism is a false one. There are those who hold that women may be leaders in the church but not the home (and vice versa), along with a spectrum of other beliefs among these. So I’m curious to know what you think. Let’s not start a theology war here; this post is intended merely for sharing your position.